(Audio Version) https://keziahcarriedotcom.files.wordpress.com/2012/05/our-provider-audio.mp3I pondered if God would provide again. He showed me a squirrel, sitting on top of the fence, feasting on a hickory nut. I pondered if God would provide again. He showed me two blue birds fluttering from tree to tree. I saw a butterfly, lighting on a pool of water, with plenty to drink. 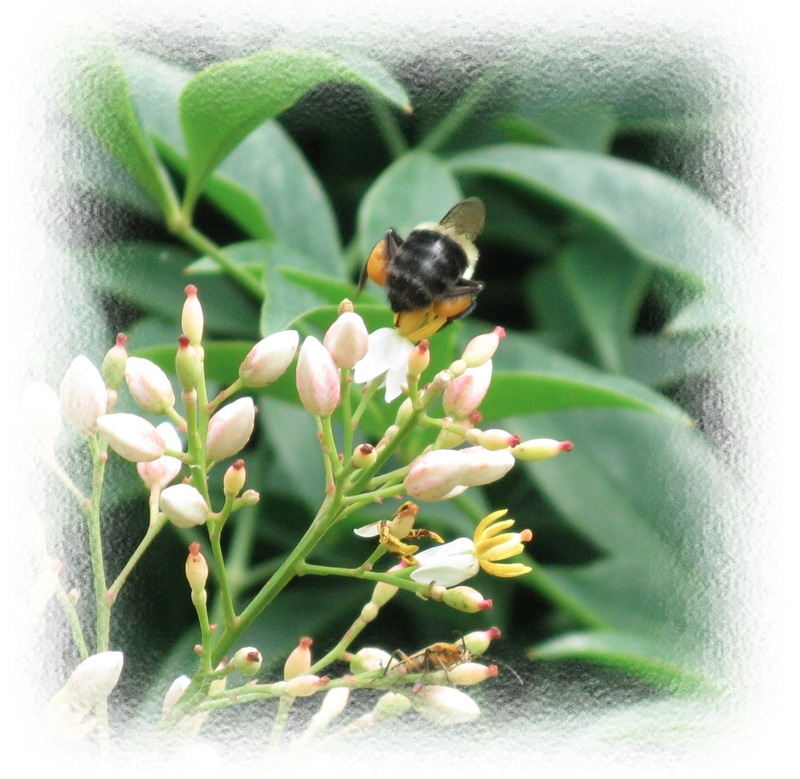 A bumblebee landed on a flowering bush. “Look at the birds of the air, that they do not sow, nor reap nor gather into barns, and yet your heavenly Father feeds them. Every day should be Memorial Day! God is our Foundation, our Rock and Redeemer, an ever-present help in trouble. How does He remind you? GREAT Things Happen all at ONCE! My heart pounded. My mind raced. And then just as quickly, I reasoned my way back to reality. We hung up and I did what I always do when I don’t know what to do. I called my husband and blurted out all she had said. 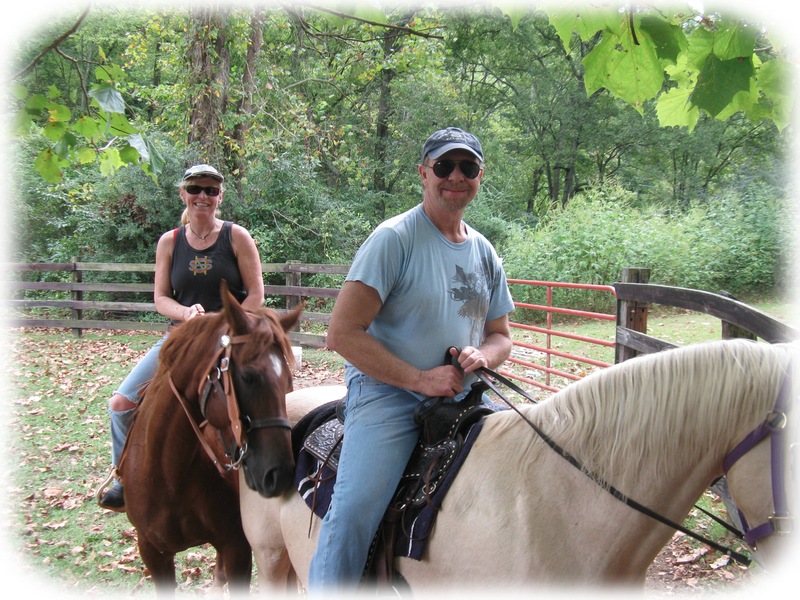 I had been praying for a horse for over 30 years. I was so passionate and so determined to have one, I was even able to convince my “city husband” to buy a house out in the country. I had spent the last year praying for a very specific horse I really couldn’t afford. 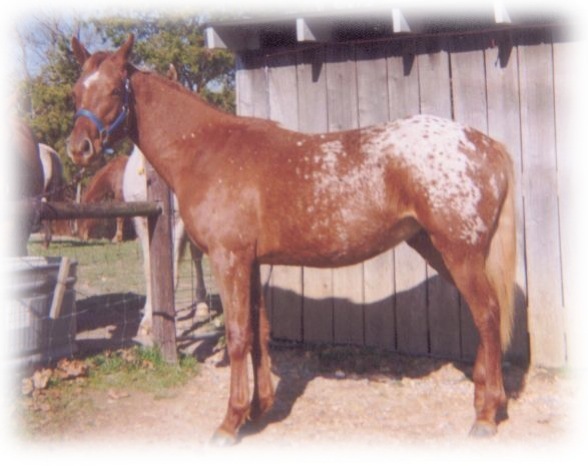 “But God knows I want an Appaloosa,” I whined. “I WANT WHAT I WANT,” I said, somewhere between laughter and tears. The fact that he didn’t think we were all crazy was the first step. Monday night I called a stable close to our home. It was full. I called two other places. No response. While all this was going on, my uncle had passed away, and we were preparing to leave town. I had no idea where this cousin lived so I called to tell him we might not be able to come see the horses. He told me he only lived about five minutes from the funeral home and if worked out for us, we could stop by after the visitation. On the way there, we joked that they were probably going to be run down old farm nags, and we would have to politely decline. Of course, they were beautiful, healthy and happy to see us. When I REALLY don’t know what to do, I ask my dad. He almost always gives me his opinion. So I ran to him. He just laughed, hugged me and said it was up to me. But it was starting to feel a lot like God. 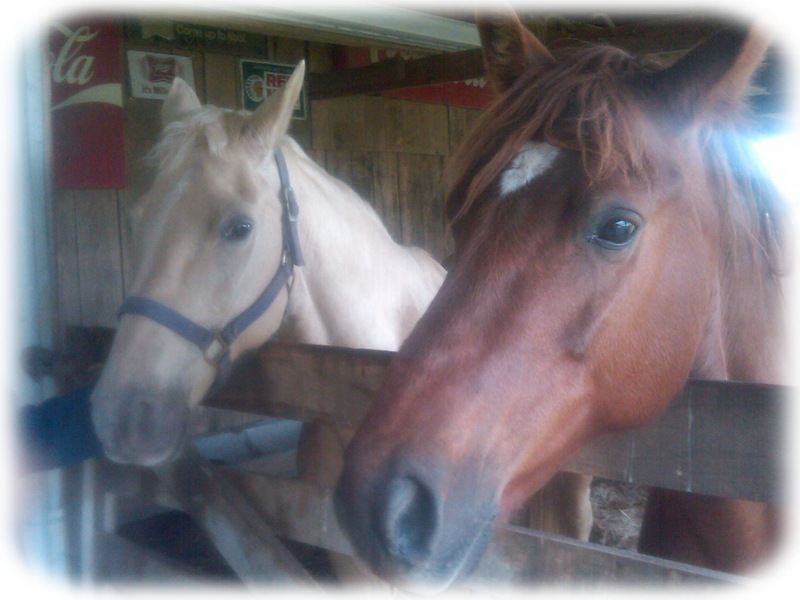 We came home Wednesday night after the funeral and I called the stable again. Despite being full on Monday, they now had two openings. It was even less expensive than I had imagined. The horses would need tests and shots. And this process, I was told, usually takes a week or more. Thursday morning, a veterinarian agreed to see them and return the tests in 24 hours. 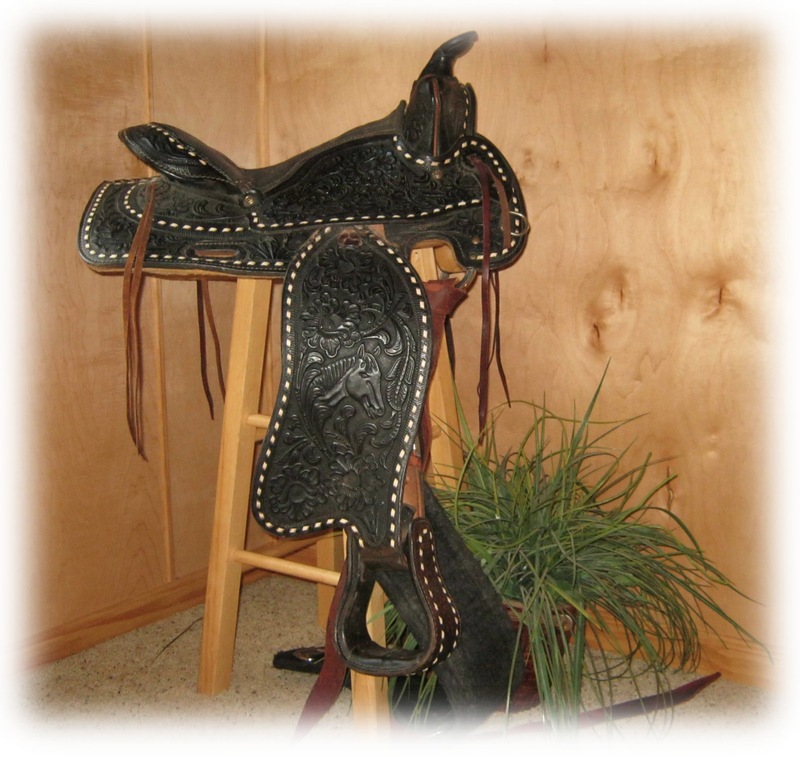 saw it, that the saddle would be perfect. It even cost hundreds less than it was worth. 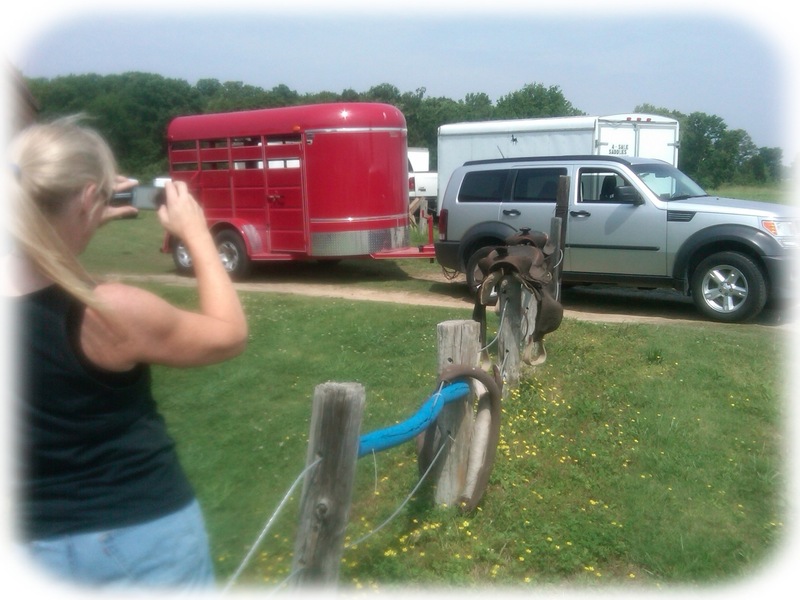 There was still one thing I hadn’t thought much about… how to get the horses home. Three people had told me they would be available with a trailer if this day ever came. But none of them could do it. Little did I know, my stepmother was already online looking and had sent an email, earlier in the week, that for some strange reason I hadn’t seen. It had the phone number of a man with a brand new horse trailer for rent, and it was on the way between our house and the horses. I had no control over anything that was happening and yet everything was in control. It even seemed as if each detail had been meticulously planned out in advance. three most important men in my life…my husband, my son and my dad. We took pictures every step of the way and we’ve told the story many times. I share it with you now, because I am reminded, God wants to give us the desires of our hearts. He sees us. He knows us. And even after 30 years of praying, some days begging, some days crying, never really understanding why I couldn’t have something I wanted so desperately, God had planned double for my trouble. I wanted one horse, he gave me two. His timing was perfect. The stars were aligned and we were ready. 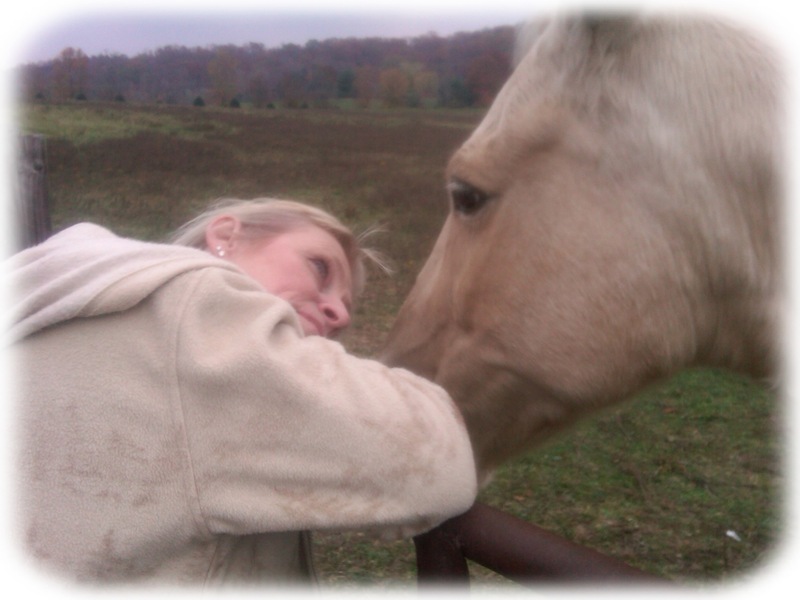 While I didn’t get an Appaloosa, we did get a Palomino, the horse my husband had dreamed of owning when he was a boy. Their names are Star and Judah. It’s been one year since they joined our family and it is still so surreal. Some days I just shout toward heaven, “Oh God, you gave me horses! !” Because it is true, good things happen over time, but GREAT things happen all at once. Don’t give up. Keep praying. Keep asking. Keep believing. He hears you. He loves you. He wants to bless you! Keziah Carrie is now being read by women all over the world. This too is surreal. If you haven’t subscribed we hope you will. It’s free. Just click on the button at the top of the right hand column. 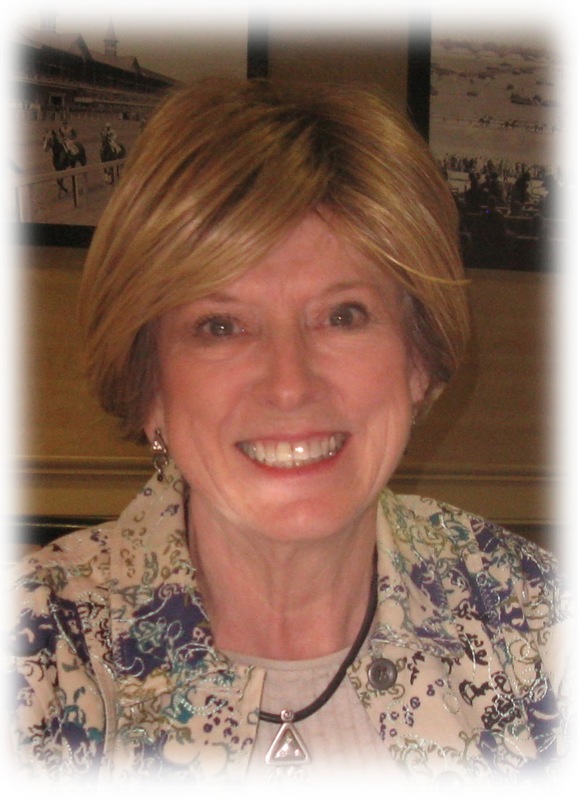 If you’ve already joined we hope you will share KC with the other women in your world. There are two types of people on the rural road where we live. There are those who keep their dogs on a tight leash, and those who don’t. I have to admit our two canines are free runners. It’s one of the reasons we like living outside of the city. While an unleashed life comes with great risk, it also comes with incredible reward. 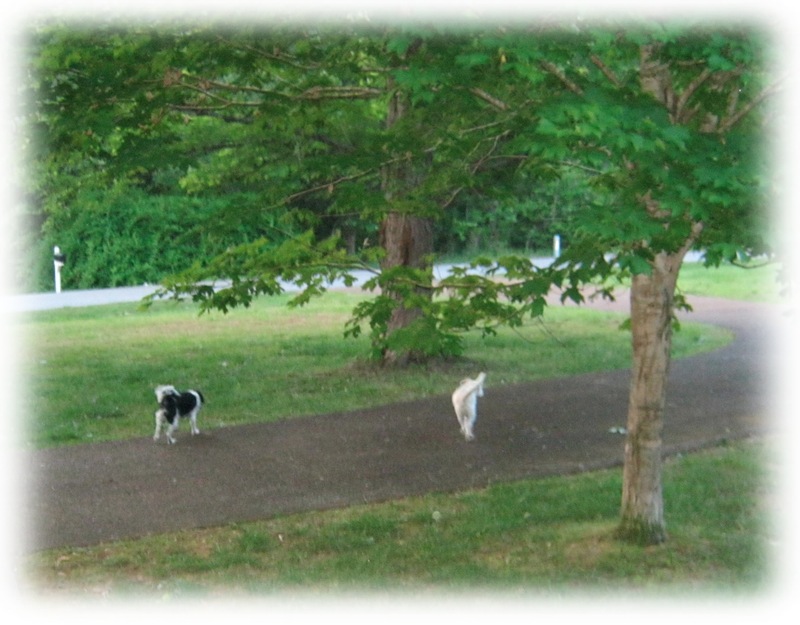 Our dogs love to chase squirrels, romp through the woods, go creek walking or doggie paddle across the pool. They have known and experienced the dangers of getting too close to the cars and have come running back home for help. God gives us complete freedom…so much freedom, in fact, we are free to walk away from Him…free to go it alone…free to find what is out there in the world that might bring us more happiness than Him. 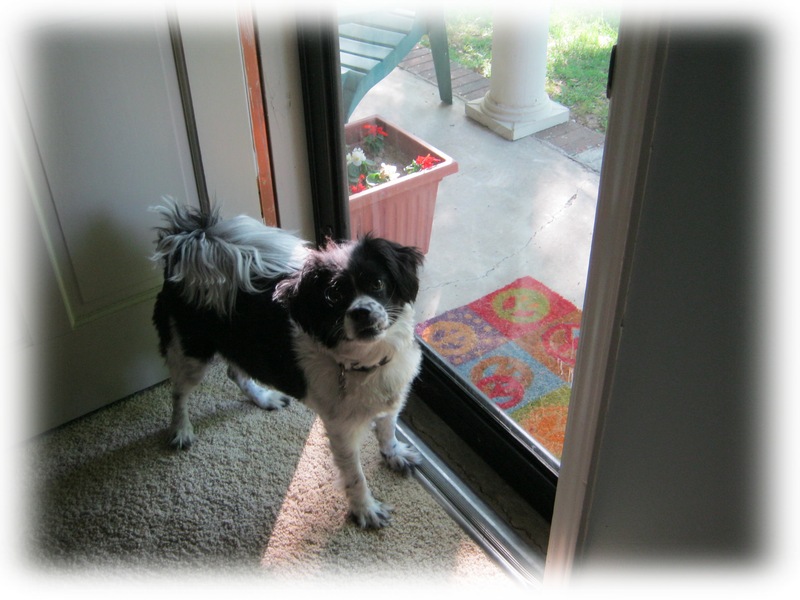 When our three-legged white terrier Zadie is headed up to the neighbor’s house for a little extra loving, or our black and white Border collie, Liberty, is bounding across the road after a squirrel, all our attempts to call them back fall on deaf ears. We’re more like them than we might care to comprehend. How many times does the Spirit of God call us back? How long does He wait for us to decide, even without a leash, that we would rather return to his presence than ever go it alone? Robert Robinson knew what it was like to be alone. He lost his father when he was only five years old and was later disinherited by his wealthy grandfather. Robert desperately desired to find his peace in the presence of Almighty God. But in 1757, at 22-years-old, he penned the words,“Prone to wander, Lord I feel it, prone to leave the God I love.” It’s true, even the mighty men and women of God, down through the ages, have been prone to wander. I wandered away for a while, just a couple of weeks ago. I was distracted by something that held worldly promise. I tossed up a prayer, but when God didn’t respond on my timetable, I took my eyes off Him, and looked around me. There’s always another way if you look for one. And there’s always a way out if you change your mind. I turned back. It wasn’t really because I necessarily wanted to; our minds and bodies rarely want to do what is good for us. I turned back because I had to…I needed to…I would have been crazy not to. 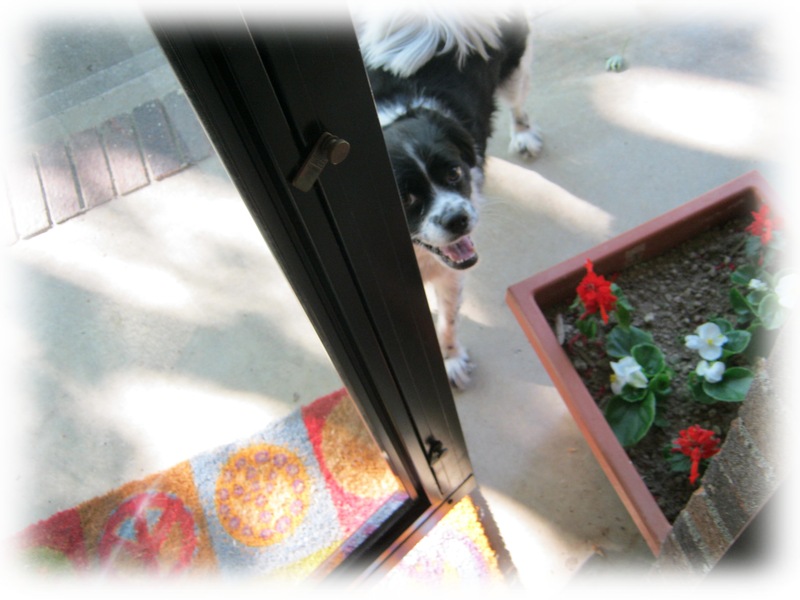 And just as I open the front and back doors a dozen times every day to let the dogs back in, God was there waiting for me to return to Him. Sometimes Zadie and Liberty are wet and muddy or covered in cockleburs but I let them back in anyway. We clean them up and allow them to climb in our laps, on the couch or even on the beds. We do it because we love them. We can’t make them love us in return and we wouldn’t want to, but they do. They love us. They trust us. They need us. God knows we need our freedom. He knows we are going to go out and get dirty. He loves us anyway. He’s not going to force us to love Him in return. What kind of love would that be? But when we do discover that we can’t do life without Him, He is always there waiting when we turn back and head home. “No temptation has overtaken you except what is common to mankind. My father-in-law spent almost all his life in service to the Lord. He used to tell the story of watching 4-H animal competitions. 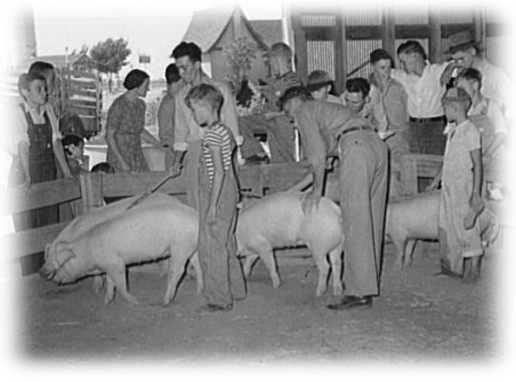 He said the kids would bring their prized pigs to the fairgrounds, bathe them to perfection, and adorn them with ribbons. But if one of the pigs got away, even for a moment, it would head straight to the nearest mud hole and roll in it. He said they did it because it was their nature…just as it is in our human nature to sin. But God is a God of forgiveness and He will always take us in and clean us up again. Are you prone to wander? What are the things that cause you to take your eyes off God? How long will you wait on God before you look for your own solution? 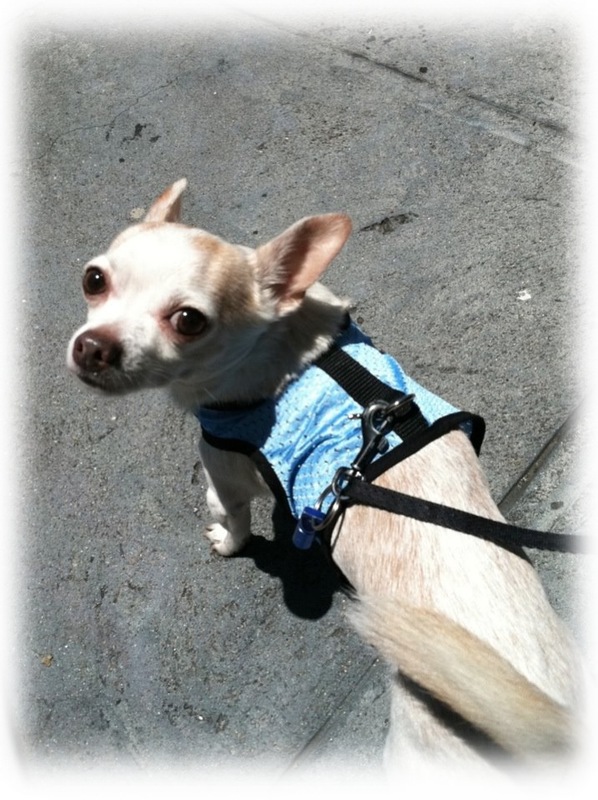 Would you rather do life on a leash or have a life of freedom?